Assisting my husband in busy display homes, engaging potential clients and getting their details. Relieving in different display homes whilst sales reps were on holidays. 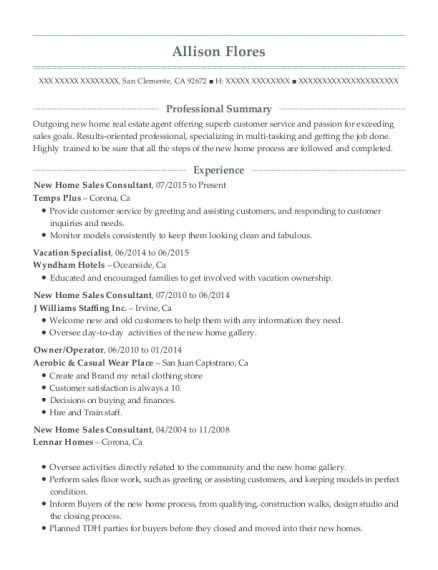 Duties included customer service, imputing stock, ordering and general cleaning. Duties included customer service, food preparation, stock control and ordering. Customer service, cash reconciliation , banking and other general duties. - organising party nights etc. 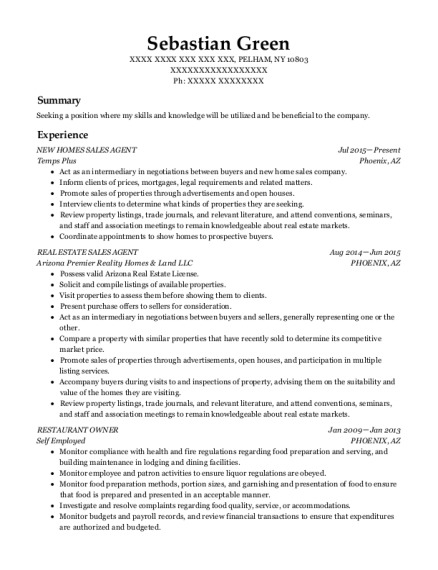 This is a resume for a New homes sales in Tapping, Washington with experience working for such companies as Redink homes and Video Ezy. 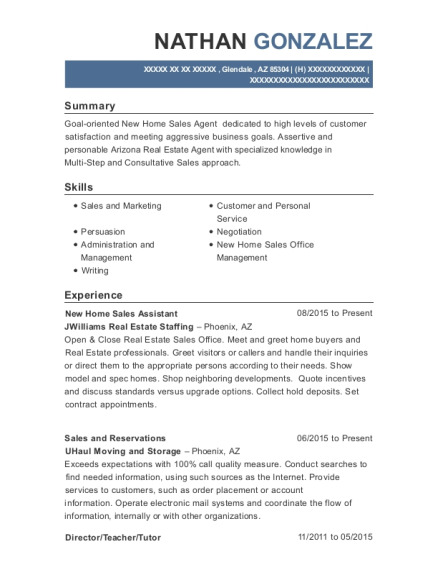 The grade for this resume is 0 and is one of hundreds of New homes sales resumes available on our site for free. 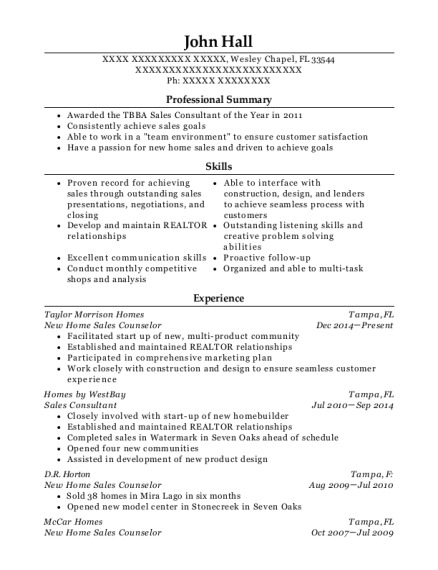 Use these resumes as templates to get help creating the best New homes sales resume.